Everyone be quiet, because it's time to talk about one of the most important, influential, and talented ladies of Hollywood. That's right, I mean Meryl Streep. 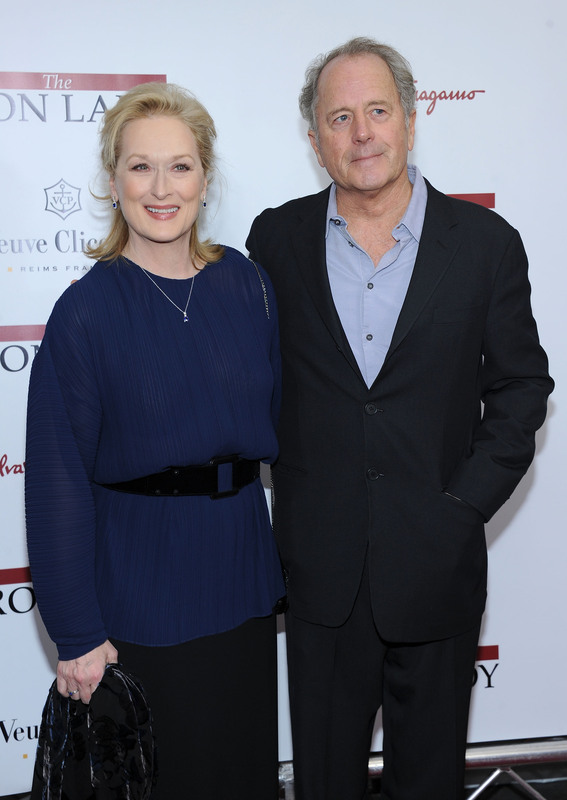 Not to get you too excited, but rather than going on and on about how magnificent Streep is (which is something I'd love to do), but I'm here to talk about Streep's husband, Don Gummer. Have you ever noticed the man who is always by the Into the Woods' star's side? Well, that's her husband. Believe it or not, Gummer is much more than a piece of eye candy who accompanies Streep to awards show after awards show after awards show. Like his wife, he's talented and impressive, and has been making a name for himself in the art world for many years. The two married in 1978 and have been inseparable ever since. They have four children, Henry, Louisa, Mamie, and Grace. Those last two names might sound familiar, which they should, because Grace and Mamie are well-known actresses. With that said, let's get to know Don Gummer better. Here are a few facts about the man who we should stop recognizing as being "Meryl Streep's husband," and instead put some focus on the fact that he's a man with a well-respected career and a lot of talent. In addition to attending Boston's School of the Museum of Fine Arts, Gummer also went to Yale, where he obtained a bachelor's and master's degree in fine arts. I think it's safe to say that he knows his stuff when it comes to art. If you couldn't tell by his education, Gummer is an artist and sculptor. If you visit his official website, you can explore all of his creations, which are quite impressive. Does Gummer get sick of his wife's achievements and being her "wingman"? Not at all. As he told the New York Daily News, "Not sick, I just don’t get excited. She just always hates asking people or having people asked to come support her. She gets tired of it ... after a while what can they say." He also added that he "never" marvels about being married to Streep, who is considered one of the greatest actresses ever. The two live in reality and even argue over who will "wash the dishes or put them in the dishwasher." I think we've always had a power couple on our hands, but never really noticed.